I am linking up with The Teacher’s Desk 6 for her PURR-fect Previous Posts: Throwback Thursday linky. October has so many things going on from Bullying Prevention Month to Fire Safety Week (not to mention fall, pumpkins and Halloween). I’ve been thinking about fire safety week which reminded me of this post from April 2013 that many of you may not have seen. 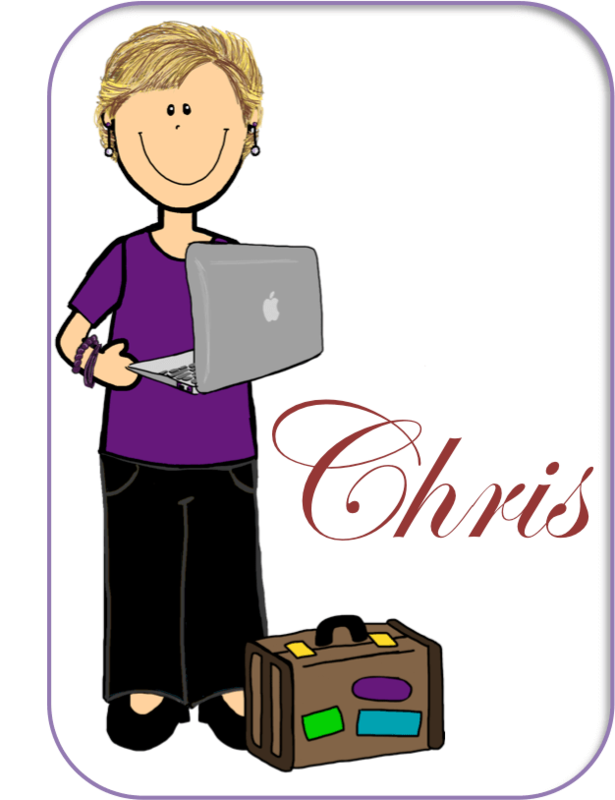 (By the way, did you know the best way to find posts on my blog is to use my Pinterest blog board? You can use the search box to the right too, but I actually find all the posts I’m looking for on my board. I think it’s a visual thing!). Anyway, as you will see from this post I have some very strong feelings about fire drills and students with autism or other disabilities. They are hard for many of our students, but they are no less important for teaching. And at the end of the post are some resources and another throwback post with a link to a freebie for teaching about fire drills. 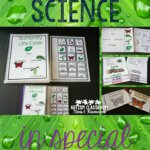 This post was first published on 4/23/13 on Autism Classroom News. OK, forgive me but this may sound a little like a rant. I don’t do that often, so I’m due, right? Right. 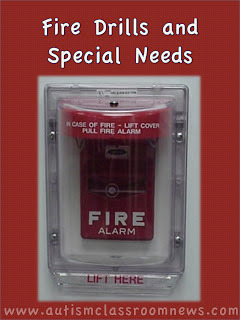 I want to take a moment and talk a little about children with special needs, and particularly autism, and fire drills. 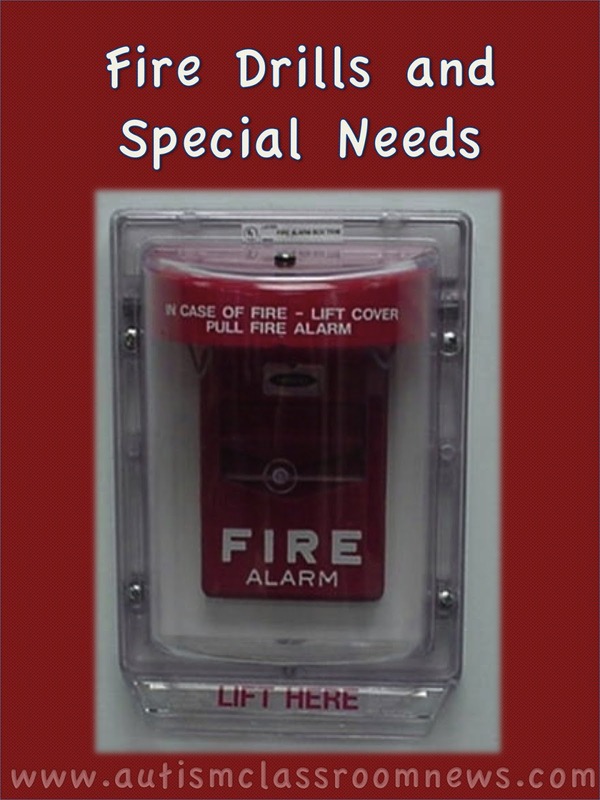 Many of us know that individuals with autism have particular problems with fire drills for a variety of reasons–the noise, the lights, the change in schedule, the crowded halls…and the list goes on. Over time I’ve worked with a lot of students who fear fire drills, some to the point where they live in fear that one will occur. 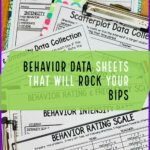 There are a variety of strategies for dealing with the difficulties with fire drills for these students (and I will list some of those resources at the end). However, what I really want to focus this post on is one solution that many people use–warning the classroom ahead of time that there is going to be a fire drill. NOOOOOO! Does that give you an idea of how strongly I feel about this practice?? Yeah, I really don’t like it. And here’s why. Warning the classroom (even just the teacher) that there will be a fire drill may make things easier today during the drill. However, they don’t fulfill the need of a fire drill–which is getting students out of the building when there is a fire–when there will be no warning. If you know every time there is a fire drill, you are prepared and you won’t be prepared if and when there is a real need to leave the building quickly. 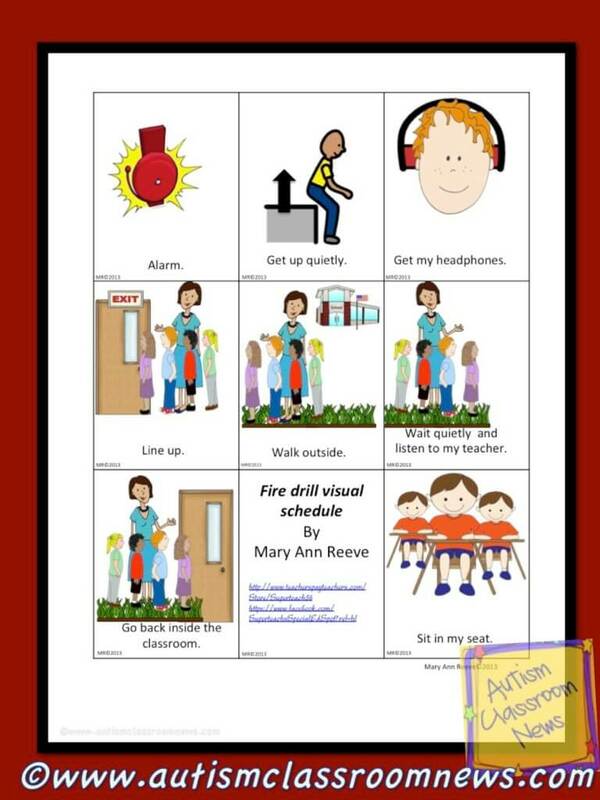 In addition, check this post for more ideas about how to handle fire drills and a link to a free set of visuals for fire safety. And don’t forget to check out more Throwback Thursday posts here. I'm so glad that you shared this post via Throwback Thursday. This is something that I had never considered and need to. 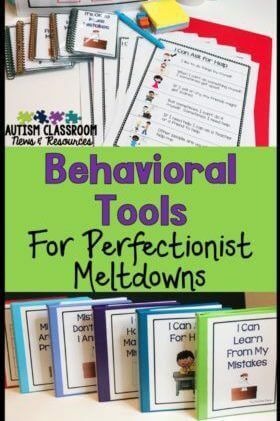 As a regular classroom teacher, I am working with more and more students with autism each year. 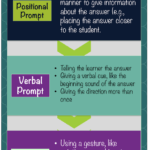 Thank you for making me aware of this "taken-for-granted" activity and for providing some great tips for "teaching" the skill. WOW! What an eye opener. Thanks Angela, I'm glad it was helpful! I swear you must have been in some of the meetings I have had about this issue. I also got the same answers. I even asked what do I do if I am changing a diaper and got told to hurry up.